It was quite fitting that an extraordinary nonprofit would hold an extraordinary benefit event. 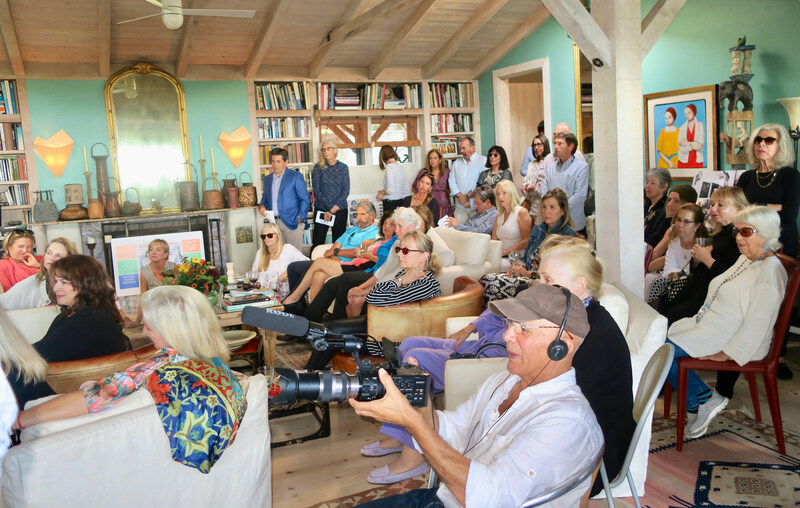 On October 14, Youth Interactive did just that at the lovely Montecito home of Ralph Thomas and Vivienne Leebosh. 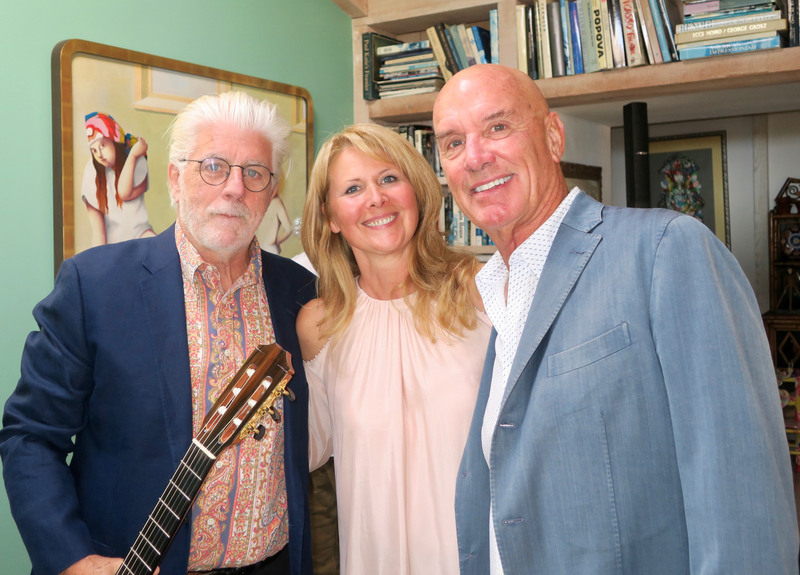 Michael McDonald, a longtime Youth Interactive supporter, delighted the 80 or so guests with an extended performance. Guests also got to learn how Youth Interactive is transforming the lives of at-risk youth through its arts entrepreneurship program. 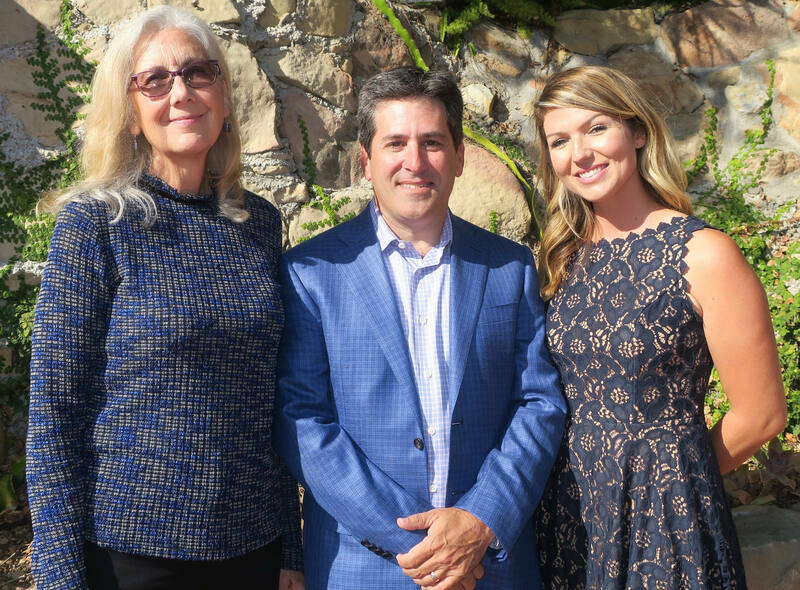 Hutton Parker Foundation President Tom Parker was honored for his support of Youth Interactive (YI) and other nonprofits. 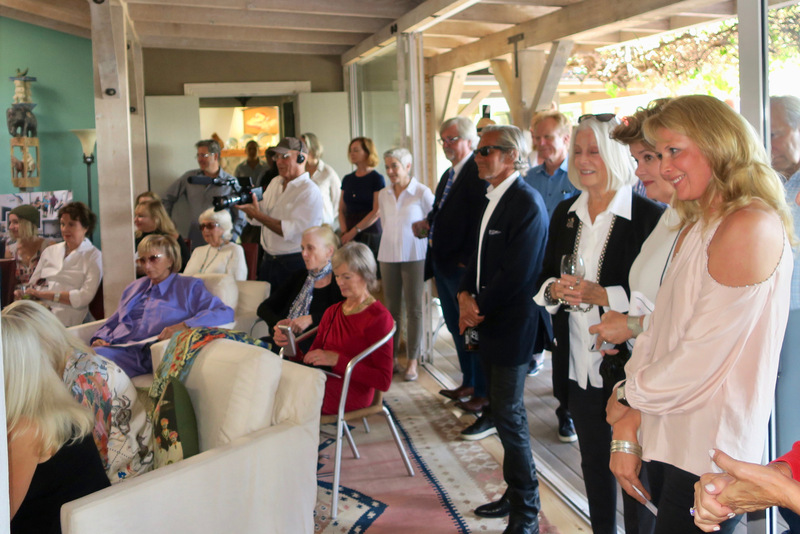 Guests mingled on the spacious patio and inside the magnificent ocean-view home, enjoying canapés donated by Belmond El Encanto. Advisory Boardmember Judy Bruton welcomed the guests and explained how YI integrates entrepreneurship, arts, and mentorship to empower youth with real life skills to succeed in school and beyond. And it has done this with astounding success. Last year, 100 percent of the students graduated from high school and went on to college. YI began its after school program in 2012 in the Funk Zone. This year, the Hutton Parker Foundation purchased the old State Theater at 1219 State Street for YI and rents the building to them on attractive terms. The 12,800 square foot space has a beautiful retail area displaying products made by the students as well as work by area artists. Students work in an adjacent area, which is also open to the public. Gensac explained how the after school program has four tracks: art, sewing, T-shirt design, and jewelry. Students meet once per week with vocational mentors to create products and once per week with entrepreneurial mentors to learn business skills. About 75-90 teens participate each semester. A separate carpentry program is run on site at Los Prietos Boys Camp, a facility for juvenile males on probation. An integral part of YI is its Get It Done Program, which is run by 40 volunteers and provides tutoring, job shadowing, cultural field trips, and practical assistance like opening bank accounts. Gensac shared with excitement how the new space will not just house YI’s programs, but also be a space for other nonprofits serving youth and the arts. Already, 45 nonprofits have committed to collaborating with YI in the new space. 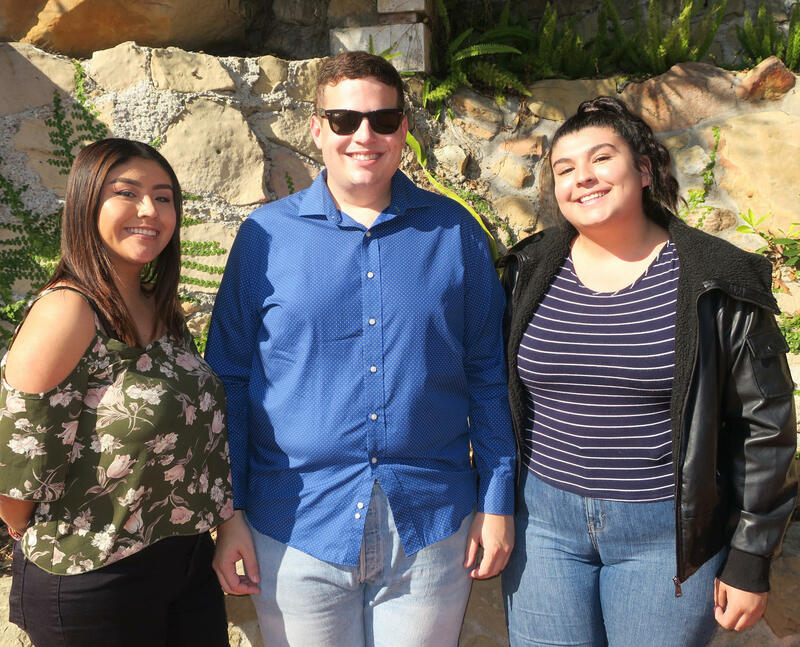 Groups include the Mental Wellness Center, which will provide on site counseling, and UCSB and SBCC, which will both provide on site college counseling. 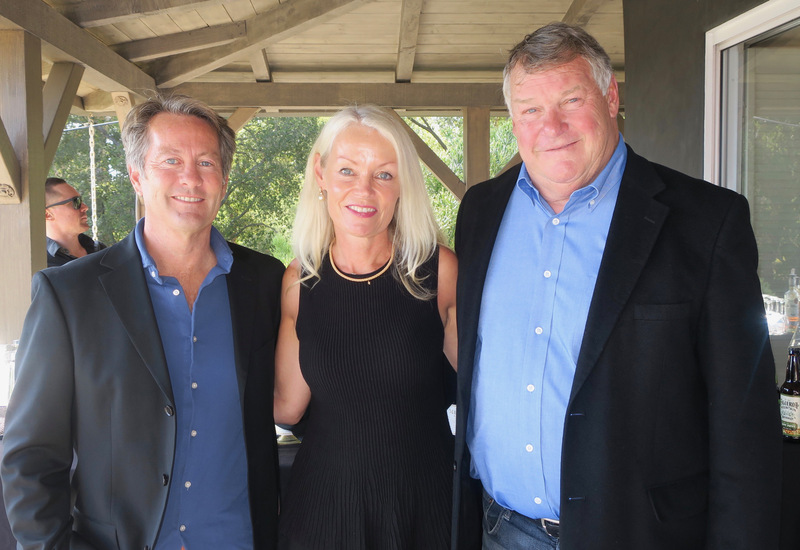 Gensac thanked McDonald and his family for their tremendous support over the years, which has included concerts with Ambrosia in the Funk Zone and at the Lobero and a $20,000 donation. McDonald and friends wowed the guests with about a dozen hit songs. 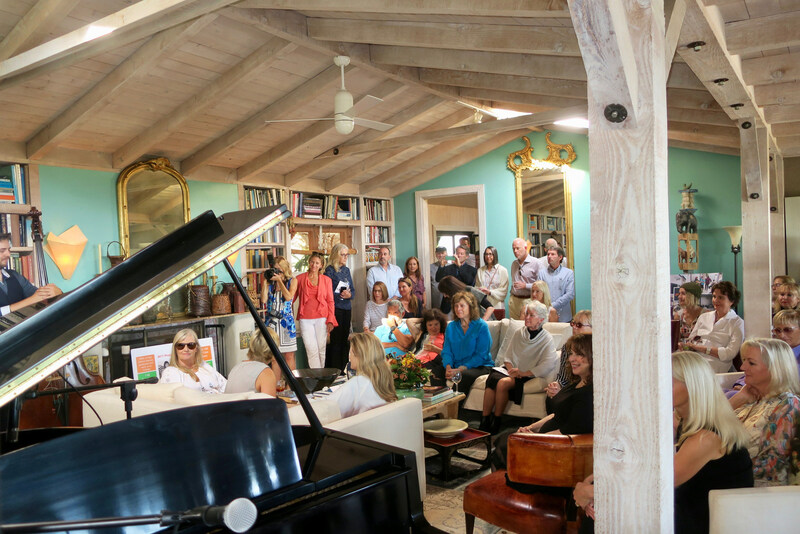 He performed on the guitar and the grand piano and was joined by his wife, Amy McDonald, for a couple of songs. 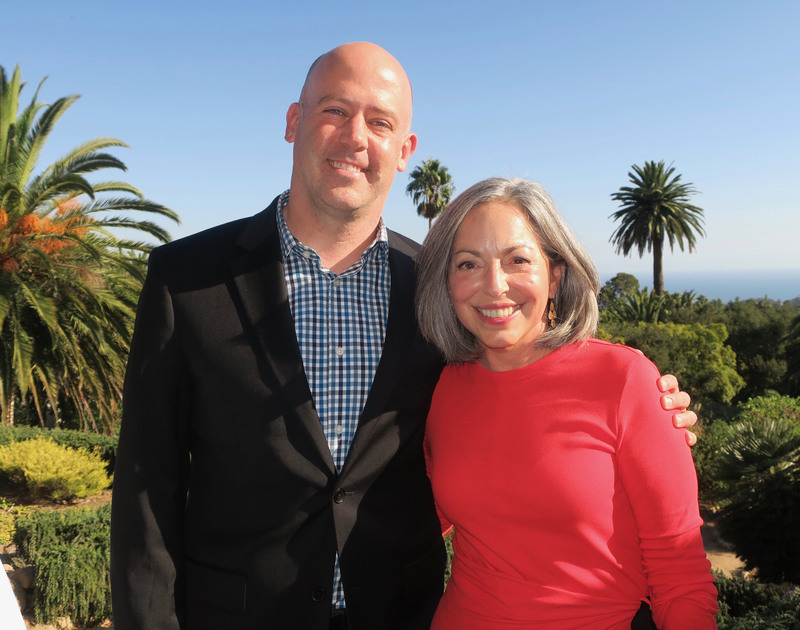 Boardmember Guy Smith paid tribute to Hutton Parker Foundation President Tom Parker for his generosity not just to Youth Interactive, but to scores of other nonprofits as well. 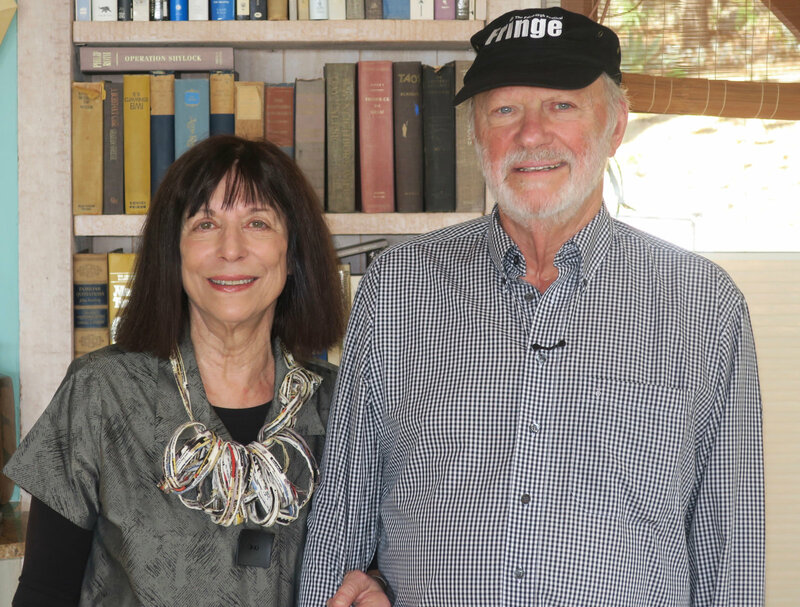 He explained how the foundation has 17 buildings in Santa Barbara serving 75 nonprofits. The foundation also makes significant grants to area nonprofits each year. Two recent alumni of YI, Mia Balboa and Natalia Jaramillo, shared poignant sentiments on how Youth Interactive transformed their lives. Boardmember Dan Meisel explained how the new space will generate revenue for the students and for YI. For students’ work, 80 percent of proceeds go to the student, 10 percent to a nonprofit of the student’s choice, and 10 percent to YI. For the work of other artists, 40 percent of the proceeds go to YI. Youth Interactive, at 1219 State Street, is open to the public Monday through Saturday 10 am to 7 pm and Sunday from 11 am to 7 pm. In addition to donations, Youth Interactive is in need of math tutors. It is also seeking individuals in various fields who would be willing to spend an hour with a student interested in their field explaining what they do or to allow a student to shadow them at work for a day. For more info, go to youthinteractive.us. Guests enjoy listening to Michael McDonald and friends. 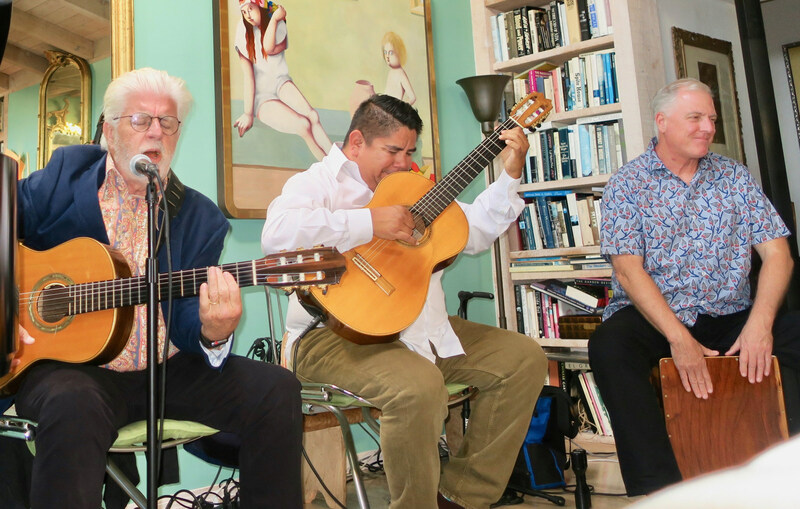 Guests enjoy listening to Michael McDonald and friends perform. Michael McDonald and friends perform.